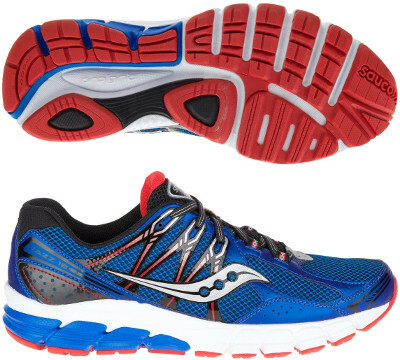 Saucony Jazz 18 are neutral cushioned running shoes. The renovated Saucony Jazz 18 hits the market looking to improve its positioning in the best value for money running shoes segment where the japanese Mizuno Wave Ultima 7 and the german Adidas Response Boost 2 are performing very well. Although intended for neutral runners the Jazz 18 is the most stable Jazz ever and with good cushioning is a great choice for daily workouts and distances up to marathon. Not many changes in the Jazz 18 compared to its predecessor the Jazz 17. Main idea behind current version is to provide more stability with medial support arc and more consistent midfoot weld on the upper for a secure fit which will be highly appreciated when fatigue shows up. Comfort has been also improved with moulded sockliner and strobel board (HRC+) covered with an additional 3mm of foam to deliver a plusher ride. Rest of Jazz 18 keeps what was working fine in previous editions: IMpulse EVA foam combined with specific shock absorption compound (SRC) and well known ProGrid for great cushioning and smooth transition. Outsole has beed redesigned because of mentioned medial support arc with several flex grooves for better flexibility and XT-600 compound in areas with higher contact wear for longer durability.